Premium Quality TufTex® 11" Standard Red Decorator Balloons made from 100% .. Premium Quality TufTex® 11" Standard White Decorator Balloons made from 100..
18" Football balloon, available loose or individually packaged - Please sel..
18" Blue football balloon, available loose or individually packaged - Pleas..
18" Red Football balloon, available loose or individually packaged - Please.. Premium Quality TufTex® 5" Standard Red Decorator Balloons made from 100% n.. 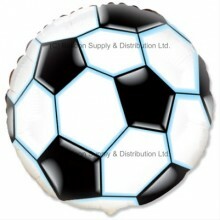 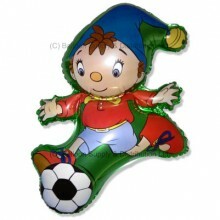 Premium Quality TufTex® 5" Standard White Decorator Balloons made from 100%..
Jumbo Noddy Football, available loose or individually packaged - Please sel..